Happy autumn everyone. Well Hurricane Mathew slammed into Florida, but I am happy to say my family and I escaped the hurricane unscathed. With electricity pulsing through my office, I am now even more energized to focus on legacy letters. I start a new legacy letter writing class this week at Harbour’s Edge, a Continuing Care Retirement Community in Delray Beach, Florida. The students of my class at this community and from another class in Stuart are featured in a new documentary about legacy letters. 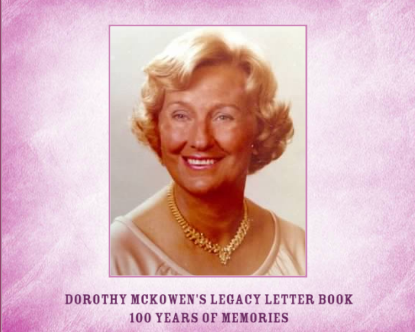 One hundred-year-young Dotti McKowen, a client and resident of Harbour’s Edge, is also featured in the documentary. A teaser for the film is posted on my home page at www.legacyletter.org. 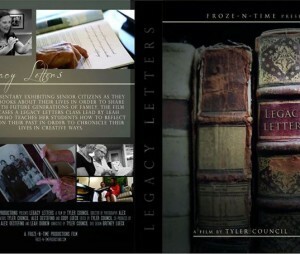 Tyler Council, the talented documentarian, is selling the DVD of the legacy letter documentary to help fund his film festival run. If you are interested in seeing the documentary and supporting his efforts to let more people become aware of the power and pleasure of legacy letters, you can contact Tyler at: Tyler Council & Froze-N-Time 4806 Ne 12Th Ave, Fort Lauderdale, FL 33334. You can also contact him via email, frozeintime@yahoo.com, or by phone at (954)673-4014. He is selling the DVD for $15. I also posted Dotti McKowen’s new legacy letter book on the sample page.